All-Star cast supports Taylor Smith. 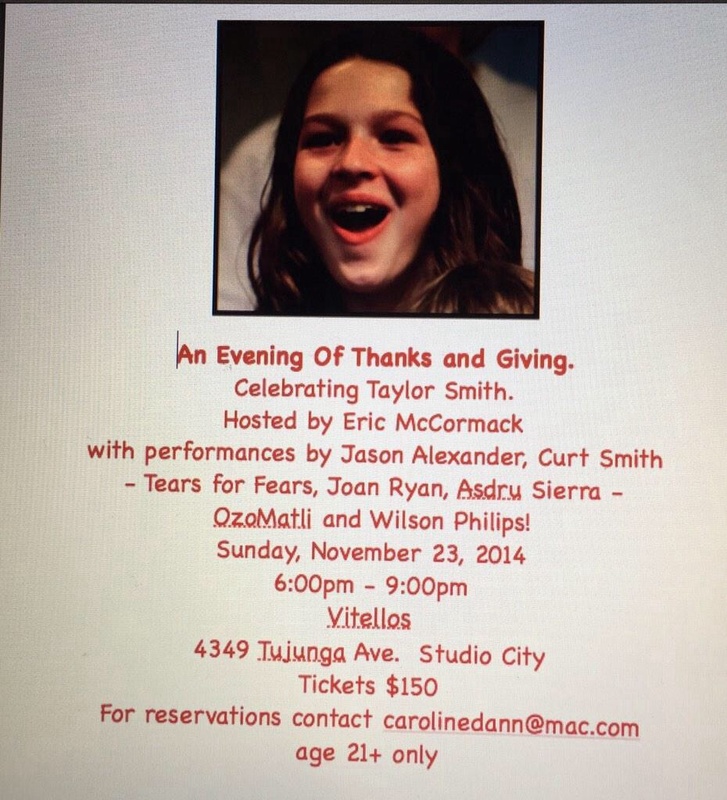 This Sunday, 23 November, 2014 at Vitellos Restaurant, Curt Smith and several wonderful stars & supporters will lend their talents and love for an amazing cause, the recovery of the beloved Taylor Smith. We’ve had this young lady in our prayers for several weeks now. As mentioned in our annual #TeamCS holiday notice, sweet Taylor could use our help as she reaches 100% healing. A part of the efforts will be a wonderful evening of ‘Thanks & Giving‘ for this worthy cause. We love to celebrate youth. 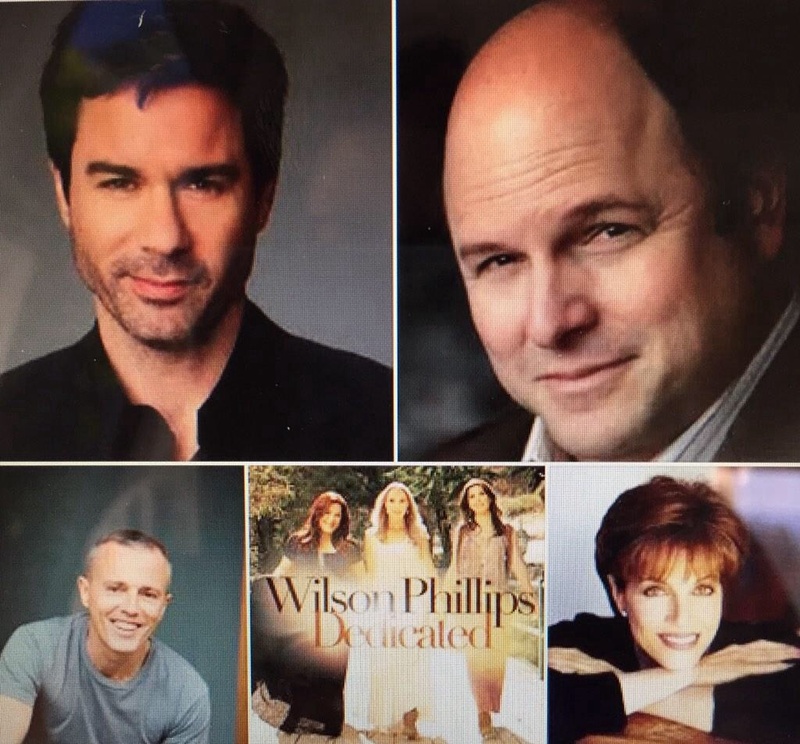 We support them 100% and so do these stars, inclusive of the award winning Jason Alexander (many will remember him from Seinfeld, top broadway musicals and much more), Wilson Philips (another award winning music favourite of many of us), the awesome Asdru Sierra of OzoMatli and Joan Ryan. Together they’ll entertain fellow supporters of Taylor’s recovery. Curt will perform 3 songs. Many thanks for taking time to read, RT and share the donation link. We know that the Smith family (both Curt’s, Taylor and her family plus friends) will appreciate it. We look forward to her full recovery and to rejoice with her in the future. Blessings and peace be upon Taylor and all who support her. Posted on 21/11/2014 by International Business and Cultural ExchangePosted in Collaboration Wishes, Curt Smith Solo Shows, Superfan Etiquette -What we learned from Curt Smith, Tears for Fears Regional Fan Club News & Online FunTagged Curt Smith, Healthy Teens, Helping Others in the name of music, Holiday Givings, Protect The Children, Supporting Youth, Taylor, Taylor Smith, Tears for Fears fans supporting Taylor Smith's recovery, Vitellos Restaurant.